Planning a special dinner with friends, and the chance to relax and enjoy some fine wines? Transport arrangements can be tricky, so the team at the award-winning Devonshire Arms Hotel & Spa are going the extra mile with their complimentary ‘Home James’ service, available when you dine at The Burlington, fine dining restaurant at The Devonshire Arms? If you live within a 10-mile radius of the hotel, the team will collect you and up to three friends from home*, bring you to The Devonshire Arms, and take you back again at the end of your evening. With a recent 4 AA rosette awarded to The Burlington, among a handful of recent awards and accolades, Head Chef, Paul Leonard, presents a delicious selection of modern British dishes. 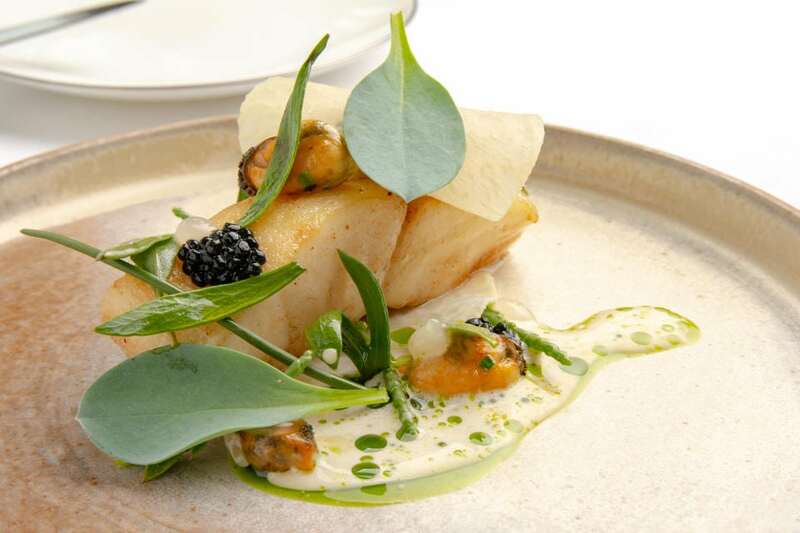 “Menus read like love letters to the county….” (according to The Good Food Guide, 2019), prepared with the finest Yorkshire produce, some of which is home-grown in the hotel’s kitchen gardens and estate, and a choice of à la carte and tasting menus. With this level of cuisine, the wines are carefully selected and some are exemplary – with over 1200 bins to choose from, there is something to suit everyone’s palate and budget. (‘AA Notable Wine List, 2018/19’). The Burlington opens for dinner Tuesday until Sunday evenings, 7pm until 9pm. Nine-course tasting menu £80 per person, with wine flight at £80. A la carte three-course menu £70 per person, with wine flight at £40. This service is available for four guests travelling together and living within a ten-mile radius of the hotel. Your party will be driven by one of the concierge team employing the hotel’s comfortable Volvo 4-wheel drive vehicle. There is no minimum spend and is available for four guests dining at The Burlington in one party and on one evening, Tuesday-Sunday. Offer available on a ‘first come first served’ basis. Please ask when making your reservation to ensure availability.